It's your job to respect your partner. But it's also your partner's job to give you something to respect. It’s your job to respect your partner. 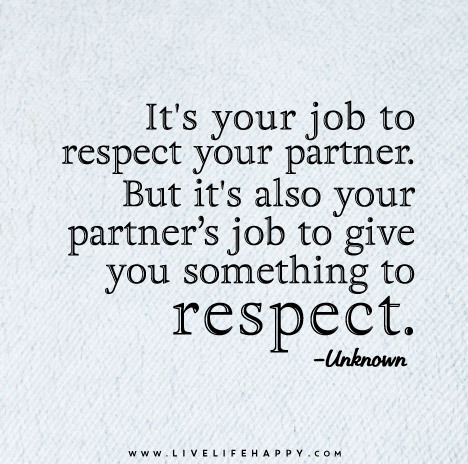 But it’s also your partner’s job to give you something to respect.